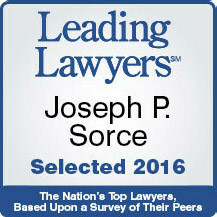 JOSEPH P. SORCE is a Partner at GWC, where he is a senior trial lawyer in the firm’s Litigation practice. Joe grew up in Chicago as the first American-born child of a physician who emigrated from Italy after World War II. He attended both DePaul Academy and DePaul University before serving in the United States Army for two years. Joe then received his Juris Doctorate from The John Marshall Law School, where he graduated with distinction in the top 7% of his class, earned the Dean’s Scholarship and the Justinian Society Scholarship, and was selected for the Law Review. Joe began his legal career working at one of the city’s top defense firms before being recruited to join GWC in 1990 as the twelfth lawyer (at that time) at the rapidly growing firm. He has tried a wide variety of personal injury cases, including those involving construction negligence, defective products, medical malpractice, FELA claims, and vehicular, premises, and municipal liability. 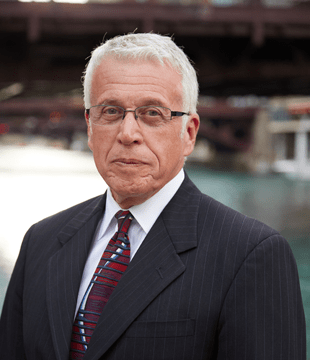 Throughout the course of his distinguished career, Joe has obtained multiple record-setting verdicts on behalf of his clients, including the largest ever worker injury verdict in Macon County and the largest settlement for a hand amputation ever reported in Winnebago County. Many of his Joe’s greatest successes have involved cases with disputed liability for which the insurance companies offered either little or nothing at all for settlement. Joe won a $1.2 million verdict for a sprinkler fitter after the insurer offered $60,000 to settle. He secured $5.1 million for an electrician following an initial settlement offer of $90,000. Joe rejected the insurance company’s initial offer of $500,000 for an injured bricklayer and went on to obtain an $8.3 million verdict for his client at trial. Joe is especially proud of his work on behalf of victims of complex workplace events, such as chemical exposure and electrical explosions. He obtained a $6 million verdict for the family of an electrician killed while working at a CTA substation, disproving defense efforts to blame the electrician for causing a switchgear to explode. In a single two-year period, Joe obtained over $19 million for ironworkers injured at four separate projects. Joe’s consistently stellar work has earned him multiple honors in his field, including Martindale-Hubbell’s highest ranking for legal ability. He has also been named an Illinois Leading Lawyer, a National Top 100 Trial Lawyer, an Illinois SuperLawyer, and a Crain’s Chicago Business Leading Lawyer.